Citizens of Poteet showed up by the numbers in support of Poteet Police Department’s Chief Bruce Hickman at the monthly city council meeting on Tuesday, April 4. After word spread about a meeting agenda item calling for the reassignment and possible demotion of Hickman from police chief to patrolman, members of the community came forward and spoke passionately to the city council to lend their support. The agenda item was brought by council member Denise Sanchez who stated she felt a lack of confidence in Hickman’s job performance. Six people spoke of Hickman’s character, and accomplishments while working as chief, the work he’s done for the community with the Blue Santa Program and the respect they have for a man who all said is a man of integrity. “I’m very thankful for the type of man Bruce is, the police chief that he is. This is one of the most important positions our city has. This is the type of position that you cannot afford to have somebody that will take bribes, somebody that will not uphold the law to whoever it may be and you need to have somebody that’s honest and has integrity and you have that in the police chief we have in Bruce…He’s done a great job of trying to bring our community together and with the police officers,” said Willie Haak, pastor of Poteet’s First Baptist Church. Haak’s words continued to resonate as he reminded members of the council of a statement, Mayor Richard Tuttle made in the previous month’s meeting. This is not the first time Hickman has been placed on the agenda by Sanchez or the council. Over the last seven months, Hickman has been a topic of discussion amongst the city council. The following agenda items have been brought to the city council: August 2016 – Working Hours by the Chief (Council Member Denise Sanchez); September 2016 — Family volunteering in the office of the city, police department & library (Council Member Denise Sanchez); and in March 2017 — Master Peace Officer certification as mandated by City Council and agreed to by Chief Bruce Hickman within 18 months of hire (Council Member Albert Treviño). It was in just last month’s city council meeting, when council member Albert Treviño also placed an agenda item that included Hickman. Treviño alleged Hickman was in violation of the terms of his job description and hiring as Hickman had not yet received his Master Peace Officer certification. The meeting began to get tense when Sanchez also claimed it was in the meeting minutes that Hickman agreed to completing training for that certification within 18 months of hire. That agenda item was tabled and returned to the April meeting. After much discussion and after further review by the Mayor and City Secretary Abigayle Frautschi, there was no indication in the meeting minutes that acquiring the master peace officer certification was a stipulation of Hickman’s employment. “I do know. I do remember we did mention that. I know there was a citizen here that day that they remember us saying that,” said Sanchez. Sanchez could not identify who that person was at that time. Frautschi stressed that term may have been spoken behind closed executive session doors, but when council members came out and voted to hire Hickman, they voted without stipulations. Sanchez still maintains there was a stipulation despite the review. “There’s nothing written or anything recorded, so I’d like to make a motion to just drop it,” said Treviño. The motion was passed to dismiss the item with both Sanchez and city council member Rosalinda De La Fuente abstaining from the vote. Why is the Chief of Police under scrutiny? Many have asked and wondered, but no definitive answers have been provided. Members of the Poteet Police Department stood by and watched the Tuesday meeting take place. Two members spoke in support of their chief saying they are proud to serve with him and have high respect for him. “I just want to say he has made a great difference here…I don’t know why Chief Bruce Hickman is always here [on the agenda]. I can say that whatever the reason may be, we just all need to get along here…I think we need to start here. I think we need to figure out what the issue is here and why we are always having to come here to battle for Bruce Hickman. Bottom line is, we have a job to do without prejudice,” said Christina Flores, Poteet City Code Enforcement Officer. Devon Wilborn, a reserve police officer and stepson of Hickman, went before the council and said he came to speak not because he was asked to but by his own free will. He talked about Hickman’s leadership and the positive direction he’s guided the department and the trust they have in him. “The Poteet Police Department would not be what it is today if we did not have a supportive chief such as Chief Hickman. I believe we have two different types of chiefs, we have a chief who wants a title and to collect a check. Then, you have a chief such as Chief Hickman, who is a chief because he wants to make a community a better place and a safer place for its residents…He and the police officers at the Poteet Police Department are constantly faced with the negativity and hardships. Not negativity by the community or public, but negativity by its own city council members. City council members, which are voted into their places by the public are voted to make it a better place. 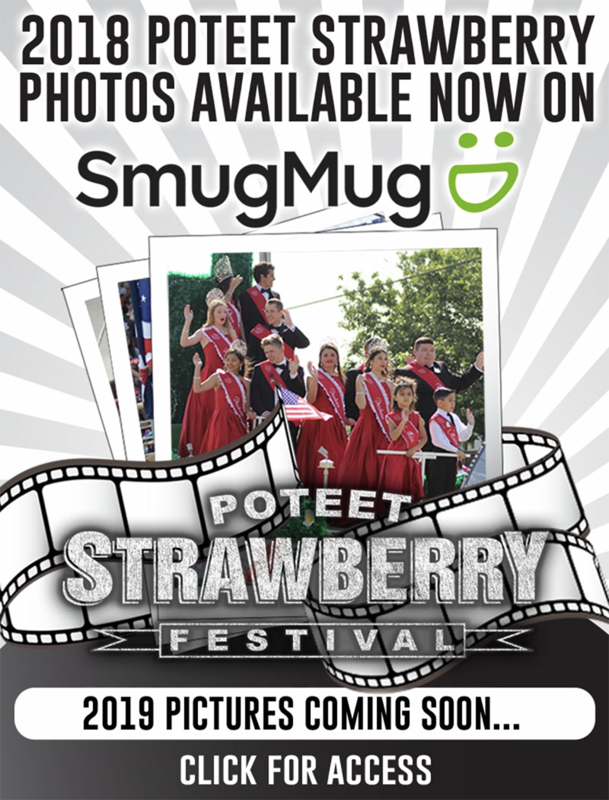 But instead of making Poteet a better place…it instead continues to create gaps between the police department and the community and continue to attack our police chief with no just cause or justification,” said Wilborn. Wilborn stated the council would be making a grave mistake if they demoted Hickman. When it was time for the agenda item to be discussed, Hickman made a request to the council to have the agenda item discussed publicly and not in closed executive session. Sanchez started the discussion with saying she brought this agenda item up because she said the chief is never at work because he’s been on vacation or gone to training. Sanchez said citizens have approached her with various complaints about the chief. Sanchez mentioned she regularly goes around checking up on not only Hickman but other city employees. She repeatedly said crime in the city has been the worst it’s ever been, with an elaboration of three trailers and a truck that have been stolen. She alleged there are never any officers around and she went out around two or three o’ clock in the morning and no one was on-duty. She claimed the chief doesn’t know what’s going on in the city and his department most of the time because he’s never in Poteet. “I have a lot of people that come to my house, and the mayor knows because I’ve come to him…I really feel like his lack of confidence in the chief of police. I feel that he has failed,” said Sanchez. City Attorney Bobby Maldonado had to redirect Denise as she continued to bring other employees into the discussion whom were not on the agenda item. Sanchez began to discuss details of a pending investigation of a police officer. The mayor rapped his gavel and along with Maldonado reminding her it was an active, open investigation. “You might want to be very careful, especially since we’re in open session. I would assume that we have the recorder going on that we don’t get into any other employees that are not on the agenda,” said Maldonado. Nicholas Sanchez, council member, asked Denise if she had any documentation of the chief not being present or letting things slide. He said he has heard good things about the chief and he only ever hears bad things from her. Denise replied that Nicholas is always picking on her. The mayor once again brought the meeting to order with his gavel. Nicholas went on to ask her if she had any proof to go along with her claims. Nicholas mentioned while riding his bike around town, he always sees an officer. He explained things are stolen and thefts happen in the city. Denise continued to interrupt Nicholas with saying the city is seeing the worst crime than ever before. Nicholas continued by recommending people write down their complaints and bring them to the mayor. The council requested for Hickman to speak and answer questions. “Last meeting, Ms. Sanchez, you said this wasn’t personal, that was a flat out lie. Mr. Garces, you remember that?…The appliance you rented from Conn’s put in your name, and he quit paying you and you wanted me to go by there and violate his civil rights to go get it and I declined you,” said Hickman. Denise questioned who that person was and responded by saying the chief didn’t go and get it for her. Hickman told her it was true he hadn’t because he lacked the authority to do so. The mayor rapped his gavel once more and Maldonado stated things were getting a bit personal and asked everyone to keep things civil and to a discussion related to the agenda item. The mayor asked Hickman about the trailers and truck that have been stolen from Poteet. “They get stolen. We have multiple oilfield companies that drive through here day and night…We don’t stop them for no reason…I got a call from someone who was off-duty who saw that truck going into Pleasanton. So, I did what I had to do to relay that information. Trucks get stolen. F-250’s are the easiest truck to steal. They can get in there and out of there in 5 seconds with a screwdriver. I only have two officers at night. If one’s at the jail and one is on a call, they’re busy. During the day, we have one. Aside from me and the investigative team, we have investigations to do. As budgeted, we only have one officer during the day, unless one of the reserves can come in. They have full-time jobs and they come in regularly and they help out as much as they can. They put in lots of hours. Hickman justified the department’s actions and stated the department is working differently than before and they’re issuing more case numbers. Most are due to situations from where citizens come in to contest a ticket. Sanchez, insisted on mentioning the theft and crime in the city has become worse. “It happens. We only have two officers and we have 3,000 people that live in the city. If you want more patrol, then give me more officers,” said Hickman. Nicholas asked Denise what any of her claims had to do with demoting the chief. Denise’s only reply was she has a lack of confidence and that’s just the way she felt. She said she gave him the benefit of the doubt when she hired him. Hickman responded to her by saying the council voted him in. Tuttle read the subject of demotion from the city’s policy manual aloud. The council can’t reduce the chief’s position, according to their policy. The city administrator and mayor are the only people who have the authority to demote the police chief. Denise made a motion to take action regarding the lack of confidence in Hickman’s job performance to reassign his position from chief to patrolman. There was not a second for the motion, and with the mayor announcing that the motion died, the audience clapped and cheered. Police officers gathered around Hickman and hugged him. Denise stated she would be putting it back on the agenda again. Nicholas made a motion to dismiss the agenda item with Treviño seconding the motion. Estella Rocha voted for the motion, Denise voted against and Rosalinda De La Fuente abstained. The motion passed and the agenda item was dismissed. Denise continued to make remarks to the meeting’s attendees. 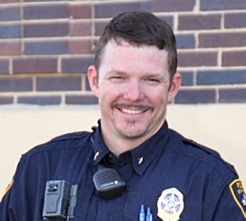 Despite the criticism, Hickman has many ideas to help improve the city and seeks to accomplish even more as Poteet’s Chief of Police. “I would like to work on developing partners and sponsors for a splash pad for Poteet. We’ve outgrown our police department building and I would one day hope to have a space that would be more proficient that would in turn help us better serve the community. I would like to be able to work alongside the city council and develop great communication with them for the good of the city and the police department. We should move forward in a positive direction to make our city a safer and more family-friendly place to live,” said Hickman. To see the video of what took place at the Tuesday, April 4 city council meeting, visit our website www.pleasantonexpress.com and click on our video tab. The next meeting of the Poteet City Council will be on Tuesday, May 2 at 6:30 p.m. We encourage our readers to attend their local meetings to keep up with all the current happenings in your communities.